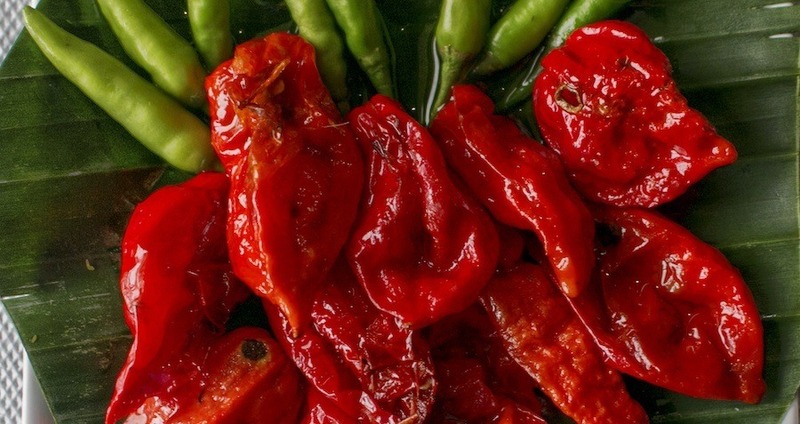 A 47-year-old man had to go to the emergency room in San Francisco after a ghost pepper burned a hole right through his throat. As reported in the Journal of Emergency Medicine, the man had attempted to eat a hamburger served with a ghost pepper puree. Unfortunately for him, his reaction to the ghost pepper’s unparalleled heat literally tore a hole in his esophagus. Despite the six glasses of water he drank, the heat was too much, and the vomiting and retching was so forceful that it led to a rare diagnosis of Boerhaave syndrome. Thus the man not only experienced awful abdominal pain, but the cut in his esophagus could have been fatal if doctors hadn’t diagnosed and treated it. “The rupture was as a result of the forceful vomiting and retching, as a result of eating the hamburger with the ghost pepper puree,” said UC San Francisco clinical fellow and study author Ann Arens, to The Washington Post. And just how hot does a pepper have to be to make for a hospital stay like this? Spiciness is rated on the Scoville scale. A bell pepper is zero units, a jalapeño is 2,500-8000 units, and a ghost pepper is 1 million units. For comparison, police pepper spray is 5 million units. Next, learn about the science behind spiciness.